We've been trying really hard to turn dour garden into a great outdoor space that we can use for entertaining with friends and family over the summer months. Making it lovely and tidy for eating and relaxing and playing are our main priorities. As T loves playing tic-tac-toe (see our Thomas and friends review here and our Halloween version here) I thought I'd create an out door version with him. I used some flat stones, but T chose his own from the garden and painted them up. Because this is a garden game I decided we'd go for ladybirds and bees, the colour contrast is really good. 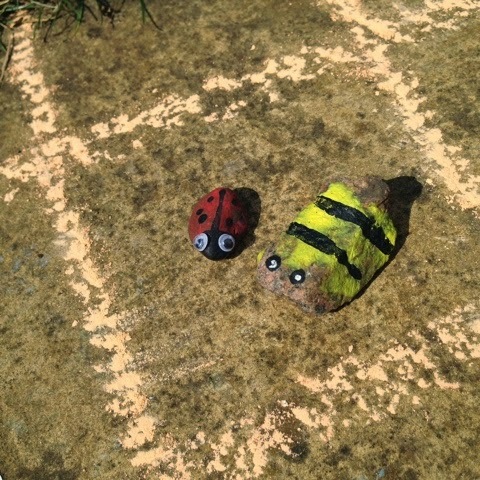 We painted our stones and added the details, T had well and truly got bored by now and so I added the detail for his. We keep them in a plant pot in the shed at the moment but I do hope to find a more permanent home for them soon. I also plan to paint a 'grid' on the paving stone so that it can be there permanently, we're just not sure which paving slab will be the right one yet! We have a few more outdoor games to make on our task list, what games do you play in the garden? What a lovely idea! I love those ladybird and bee stones you've used! 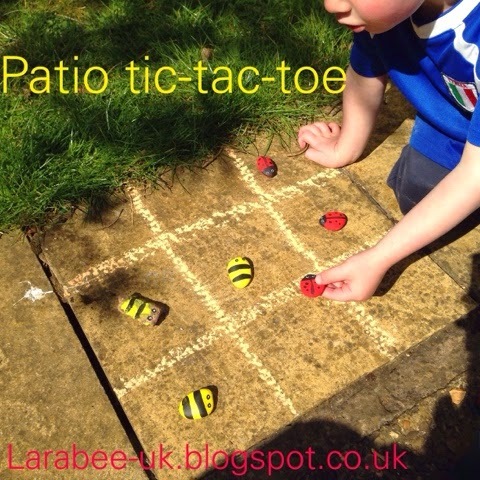 I love the idea of this, I was planning a naughts and crosses board on tree stump with stones but I think your ladybirds and bees are even better. 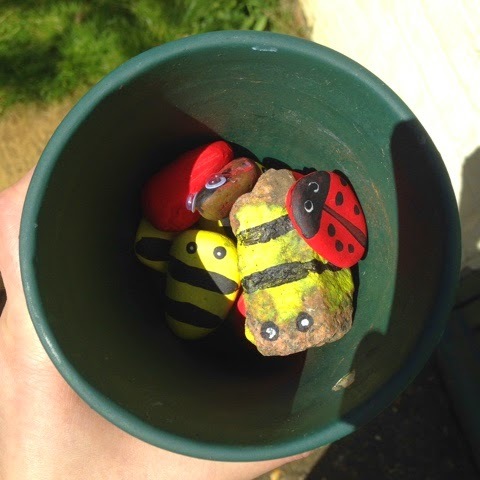 we have a pair of ladybirds in the Fairy Garden, I could easily add some bees too. A great idea and I hope you find your permanent patio stone too. Thank you for sharing with me on Country Kids.